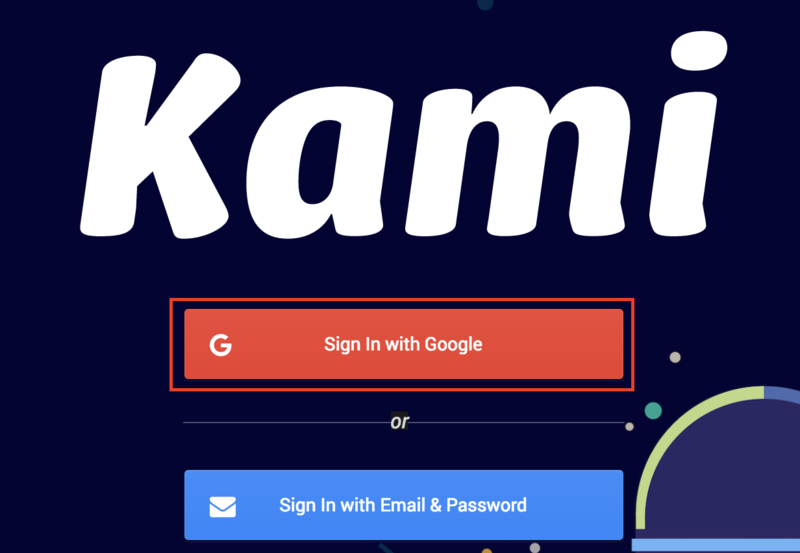 If Kami is automatically logging you in with a different Google account than the one you use with Kami, you will need to sign out, and sign in with your correct email address. A possible scenario is that you are viewing a pdf that has been annotated by you, but from a different Google account. You will still see your initials when you hover over the annotation (in this case highlighted text), but will not be able to change the annotation. To adjust the original annotation, click the profile button in the top right, and then select Logout. From here you will be automatically forwarded to the Kami Sign In. If you are signing in with Google, you will be directed to a page that will show all the email addresses that have been used on this computer in the last 30 days. Select the account that is matched to the Google account you wish to use.